Electrical issues can crop up at your home or business at any time, and if you don’t have them taken care of by a professional, it could lead to bigger and more costly issues in the future. If you require electric service and you want to ensure that the job is done right the first time, look to the experts at VMA Electric. We’ve been providing electrical installations and repairs throughout the Boston area since 2008, and our commitment to our customers has helped us earn and maintain an A+ rating with the Better Business Bureau. We employ licensed electricians who average more than a decade of experience and make it a priority to stay up to date on the latest technological advancements and best practices. That way, we can ensure our customers will always receive the level of electric service they deserve. 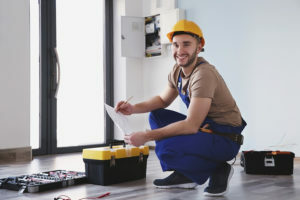 Our electricians can also handle the installation of custom lighting, entertainment systems, home automation systems, security systems, backup generators, and much more. To learn more about the different electric service options we can provide for home and business owners in Boston and the surrounding areas, contact VMA Electric today.